Today, we are thrilled to introduce our initiative to create a trade market for SMT tokens in Daybit exchange with @steemhunt, @esteemapp, @utopian-io, @actifit, @fundition, @tasteem, @trips.teem, @dclick, @ntopaz, @kpopsteem, and @dlike. Also, to monitor the trading volume of these SMT tokens and increase the market visibility to the public, we decided to collaborate with @coingecko team. In order to discuss the details for listing their tokens, we will create a hotline between the team and Daybit. Our target launch for the trade market is between March and April 2019 (the final listing tokens and dates will be varied based on circumstances). It’s important that SMT price, volume, and trading data is tracked accurately to improve overall transparency in the SMT ecosystem. CoinGecko (@coingecko), the most renowned cryptocurrency ranking website and also an active Steem community member, has agreed to support SMT market monitoring. We believe that the support shown by CoinGecko will bring massive benefit to the success of the SMT projects. This will increase SMT's market visibility and validation, so please support their Steem witness candidacy. Daybit is an Elixir-based high performance crypto exchange launched three months ago by Chain Partners, the largest blockchain company in Korea and has received over $12 million in equity funding. Even though Daybit is a new exchange in and around the top 100, it initially reached the top 12 within two weeks of its launch, so we think it has the potential to increase again. The mother company - Chain Partners - is one of the top leading blockchain companies in Korea and they have many resources and proven success. Their initial strategy and token model did not meet the market needs, which led to drops of their Day token (it’s own exchange token) market value. Now they are preparing a new strategy revision (during February to March), and we believe that they have strong potential to rebound back to the top level. 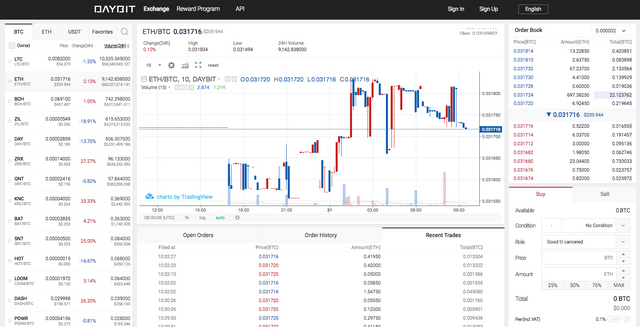 Check out Daybit exchange and please be ready to trade SMT tokens soon. We have no doubt that the Smart Media Token (SMT) protocol will become a game changer for content-based blockchain projects. There are already many Steem DApps that are preparing for the creation of their own token economy based on SMT, and have started to reserve their token distributions for the early contributors. In order to build abundant token liquidity and raise funds for the SMT projects, we strongly believe that bringing an investment pool from outside of Steem community is highly important. If we can open up more channels that bring investments into Steem/SMT based projects, this will promote more successful SMT candidates. If we can turn this trial with Daybit into a success, we can create more deals with other exchanges to list SMT tokens and launch the funding channel for them. So please support our activities. We're stoked to play a part in bringing Steem as a decentralized business platform to the next level as everyone is certain to benefit from this. Our top Pledge as a Witness on Steem is to bring awareness and support to SMT tokens, which we fell could have the potential to be one of among the game changers in the Cryptocurrency space. Send @freedom a message and lets get you in the top 20 witnesses. That's a nice thought to have! It would be good to get you guys in there! WOAHH its coingeko! so glad to see you, @minergateeosbp and all sorts of other players i didn't expect here with steem accounts! With you guys here im Sure youll be listing all the big tittied SMts! How daybit exchange provides a daily profit?? This is great, Steem is a very innovative Blockchain and coin. Im looking forward for the SMT´s. Sorry but I had to downvote this because it's too long and not related to this content. wow, great work @tabris and @project7 that's forward motion! You and Coingecko have my votes. Thank you for your positive contributions to this ecosystem. Glad to be a part of this, and hope to see other apps joining it. Thanks to the Steemhunt team for their effort and their work on this collaboration! yeah me happy, me happy bout dis, but hey hey i need to know @steemhunt whats the deal did you find an exchange that didnt make it and are gonna use it for our own non dex SMT market? Why not just use the Steem Engine tokens? They already exist whereas SMTs are reliant on Steemit Inc and may be a long way away. The process you've outlined seems very complicated and involves creating ERC20 tokens which have fees to transfer. Having to involve a competing blockchain like Ethereum sounds worse than the Steem side chain option that Steem Engine runs on. SE requires additional wallet integration for exchanges, but unfortunately not many exchanges have those dev resources whereas ERC20 is supported by almost all exchanges already. To raise a meaningful amount of fund in this bear market, we need to bring much more investors from outside the Steem community. We can bring many more users to Steem community by exposing Steem dApps on outside the community (by listing on external exchanges, not just on an internal DEX). We believe this will bring a lot more benefit to Steem community and its token values in a long run. By the way, I don’t think Ethereum is a competing platform to Steem because Ethereum is a platform for general purpose whereas Steem is a niche blockchain platform specialized for social apps. Steem has so many advantages when it comes to social and community functions. These reasons make sense, but if an investor wants to buy a token they can always buy Steem on a large external exchange that they are already familiar with and then use it to purchase the token on the SE DEX. That's good for the Steem price. That's also how ETH became so popular in the first place. I see that you are trying to achieve greater visibility for Steem DApps by getting their SMT tokens listed on an external exchange to help them raise funds. This is a good thing, although I'm not sure that simply being listed on an external exchange as small as DayBit is going to achieve that. Their volumes are tiny and they are outside the top 100 on coinmarketcap. The Steem community is much bigger than a small exchange like DayBit so I'm not sure how it really helps. And it is quite a complicated process. If it was Binance it would be a different story. In general I think that attractive functionality drives users to Steem DApps, not external exchange listing which merely attracts speculators, not real users. True, but users also need to buy STEEMs to use any Steem dApps anyway (Resource Credits). You’re right, it would be great if we could make a deal with a major exchange, but please consider that this is just our first step, and of course we can tap on bigger exchanges once we made a success story. We’re already negotiating with other (bigger) exchanges as well, so let’s hope one day all SMT projects can be listed on all the major exchanges. @tabris I like and agree with your approach on the issue. Having only internal exchanges for SMT tokens does not make them look as trustworthy as having major exchanges also having the said tokens available for trade. For example, look at the internal markets for Tron based tokens on TRXmarket. If it wasn't for their cooperation with Bancor, those internal markets could be shutdown or manipulated by the app token creators, and the token holders will not be able to sell/buy them on any external exchange. Kind of what happened in the case of Bitconnect. Having SMTs on both external and internal Steem based markets would be ideal since it would bring more capital into the Steem ecosystem, and it would make the arb bot operators very happy. Yes Daybit is small at this moment, but its mother company is mega size. Actually it did hit over top 20 volume size in the beginning. But they didn't use any market making (a.k.a. fake volume generators) transactions -> that made failure the protecting their Day token value. Now they are preparing entire re-structuring by pouring their resources. We think their volume will spike up again when they re-open around March. Small initial step is always very important. I don't see any possibilities to make all SMT tokens suddenly in Binance. But if we make this case successful, it can be stepping stone to approach bigger exchange. I think both DEX pool and centralised exchange market pool are important. I don't see that should be either of things. But in terms of funding for projects, it seems very difficult to raise at least seed amount of funding for more than dozens of projects by making investors buying STEEM, moving into SE, and invest on SMT projects right away. 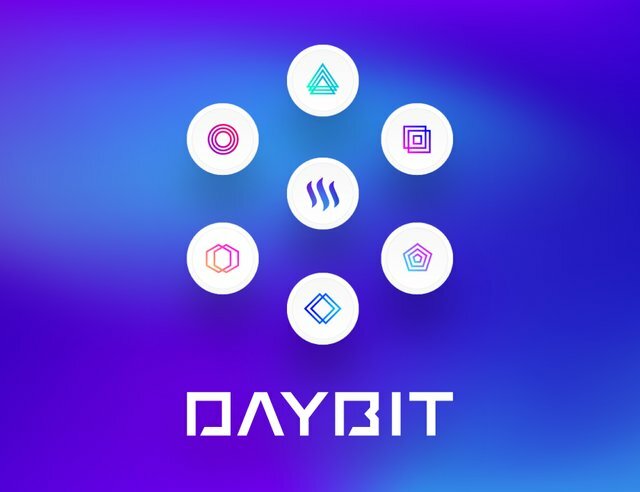 Daybit will have IEO feature (like the launchpad by Binance). With that, some of SMT tokens will be able to run funding before listing its token. Again, it's all about "how" we can choose the best option at this moment. Current DApp projects that should make scale up for making the revenue stream are necessary to raise funds in this bear market. It's not like the market situation anymore when any project raise huge funds with gazillion paper long whitepaper. This is why the Steem DApps should go out to the outside exchanges. Most Steem DApps have amazing users and proven dev records rather than just having a gazillion page long wp. We think this approach will open up the new opportunities for SMT projects later on. One of the great things about Steem is that its open to try all options and let the market decide what works best. Good luck. I'll be interested to see how this goes. I'm amazed by you guys' development and pace. Keep it up! Great! We are also promoting support for Steem and SMT projects in China's exchanges. Please let us know if you have the same plan as other DApps above, and hope to list in Daybit. You can contact us in our Discord group https://discordapp.com/invite/mWXpgks and DM to @project7 or @tabris. Yes,we also have the same plan. Top of the game @steemhunt, happy to see this happening! I'm sure many would want to learn the valuable experience you guys have acquired operating on Steem so far. Rock on! This will be such a vital stepping stone for the growth potential that is just around the corner! Amazing times ahead. Although there is starting to be a division, where we have soft smts from @steem-engine and temporary smts. I suggest @aggroed and @project7 work together. All smts should be included, not some elites only coin. Mad times ahead! Funding via exchanges are becoming popular again. This is excellent news. It could hold the potential of opening up a lot more doors, especially for the DApps that are looking for funding. Having Fiat/STEEM pairing and, essentially, fiat to SMT is huge. It should help with investments from outside. I like to see the ecosystem expanding into many different areas. The more place Steem filters into, the better for all of us in the long run. Thanks for all you do for the blockchain. Brilliant work, @steemhunt and co! Please how do I get steemhunt token? Thanks brother, there is something that I’ll love to know, please can we Whatsapp? thanks 🙏🏽 brother man. I think my little support must start from voting @steemhunt a witness, and that I must do immediately! Thanks @steemhunt for your great support in #Steem ecosystem! Exciting news! Looking forward to it. This is a good partnership that is very useful for everyone. @coingecko has provided an opportunity, let's support and give appreciation for this together. Awesome. I actually signed up for Daybit a couple hours ago..
What about air-clinic and partiko? Partiko said they want to focus more on building apps for the moment, so maybe not this time but later. Air-clinic, we didn't have a contact. Please let them know they can contact us on our Discord channel if they're interested, so we can introduce them to the exchange. CoinGecko has always been supportive of projects like this. Glad to see it hasnt stopped. you guys are awesome !!! keep it up ..
You have my full support on this one. Great to see! Keep up the great work! Does this mean that SMT token will be using Ethereum token temporarily while the Real SMT is not yet born? That is the indirect way of telling, SMT failed its promised so then used ERC20 instead since it is already function. Correct. Daybit will support either ERC20 (Ethereum) or TRC10 (Tron). It's a temporary token so they can be using any standard and platform, but I guess it's wise to choose the most common ones with a broad exchange support. When is the prospective day this may commence? Before March :) More detailed announcement will be coming soon. A question please. When SMT will be lauched??? Is this tokens will be tradeable with steem and sbd? We are not sure about the SMT launching date, so we made an enough buffer for it (that’s why a temporary token). Yes, Daybit will launch Steem based token pairs, so you will be able to trade those SMT tokens with STEEM. Does this have any correspondence with the steem business alliance? It's not relation to the SBA project now. But may consider to perform some collaboration later if this direction has some alignment with the goal of SBA. We want a be in that list to. This SMT project has been very exciting to follow and can't wait for the initial launch. Is there a updated timeline as to when the SMT's will be launch and ready to trade on Daybit? We're not sure about SMT launching date, I guess it'll be delayed few more months. Once SMT is ready, each project will decide the timeline when they want to swap their temporary tokens to SMT and Daybit will be ready for the swap events. Is this still in advance of SMTs launching? I am not aware that they are ready yet. I am aware of the SteemEngine tokens, will this exchange market be compatible? Yes it's about temporary tokens for now. Those temporary tokens will be swapped in SMT later on. No those temporary tokens are not compatible with Steem Engine exchange market, it's a different standard from SMT and I heard they will launch their own DEX later. For now, exchanges we're talking with are only able to support tokens in ERC20 or TRC10 standard. I love this blog, very good, I invite you to go through my profile if you would be interested in my content.!!! I'm am excited about this and thanks to @chesatochi for sharing this on his DTube vlog! It is certainly getting exciting around here. A very bright future ahead of us all! Changes always make things better and innovative, so I glad to appreciate the work and Collaboration with CoinGecko on Market Data Visibility Which It’s important that SMT price, volume, and trading data is tracked accurately to improve overall transparency in the SMT ecosystem. Nice and Excellent work for coingecko, i love your plataform. realmente desconozco del tema, quisiera recibir mas informacion, me pueden ayudar? I really do not know about the topic, I would like to receive more information, can you help me? Please contact us (@project7 or @tabris) us on our Discord channel, we'll make an introduction to the exchange. Muy interesante este proyecto que podrìa captar gran cantidad de inversores y por ende generar una avalancha de Smart Media Tokens (SMT). This post has received a 61.5 % upvote from @boomerang.